Dr. Lin offers treatment for all types of spinal conditions. Dr. Lin takes extreme pride in his profession and is committed to excellence. Although patients may share a similar diagnosis, each case is assessed by Dr. Lin in order to offer an individualized treatment plan allowing for the best possible outcome. Depending on the diagnosis, the preferred treatment plan typically begins with conservative methods, including physical therapy, medications, and injections. If these methods have been exhausted and surgery is a reliably successful option for your condition, Dr. Lin will discuss this option with you in detail. 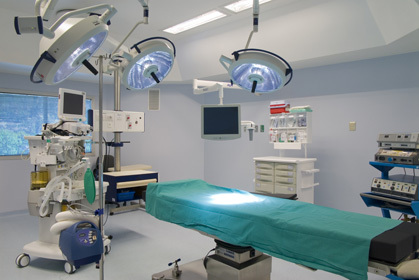 All procedures are performed utilizing minimally invasive techniques whenever possible. These techniques allow for smaller incisions and quicker recovery periods. Currently, over half of all surgeries performed by Dr. Lin are done in the outpatient setting, not requiring hospitalization. Epidural injections are used to treat radicular pain caused by nerve irritation. This type of pain is usually caused by herniated discs or spinal stenosis. A herniated disc occurs when pressure or degeneration produces a tear in the disc's outer ring (the annulus), and the nucleus ruptures out of its normal space. If it rips near the spinal canal, the bulging disc can push out of its space and into the spinal canal, placing inappropriate pressure on the spinal cord and nerve roots. Spinal stenosis is a narrowing of the spinal canal that can cause pressure on the spinal cord and spinal nerves. Mild pain medications can reduce inflammation and pain when taken properly. Pain medications cannot stop the effects of aging and wear and tear on your spine. But they can help control your pain. If you are pregnant, you should not take any medication unless you have discussed it with your obstetrician. Spinal pain is a serious subject. As you recover from a spinal injury, whether to your neck or back, it is important that you begin to learn how to safely strengthen your spine to help prevent injuries in the future. To help you strengthen your spine and learn how to protect your spine, your doctor may have you see a physical therapist who will design a rehabilitation program just for you. Your physical therapist will evaluate your condition to determine the best way to help ease your pain and help your spine move better. You will also be given ways to take care of your spine so you can avoid pain and prevent further injury. By now, you understand your spine and know your non-surgical and surgical options. While making a decision regarding any treatment for your back pain, communication with your doctor is extremely important to make sure that you know the risks and benefits of your treatment. By speaking with your doctor to understand the available treatments for your particular condition, you will be able to make a more informed decision regarding your treatment plan.